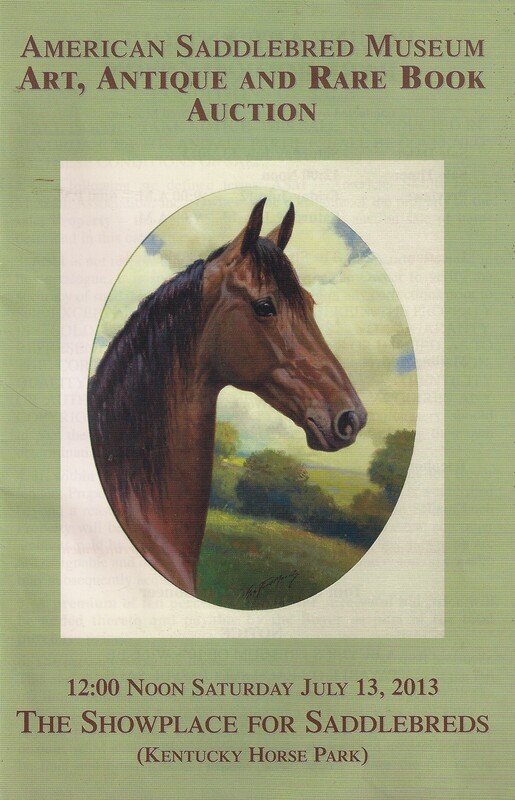 Catalogue cover from the American Saddlebred Museum auction. Material is mostly decorated with saddlebreda &/or works by the artist George Ford Morris [art bio]. Catalogue also available online.